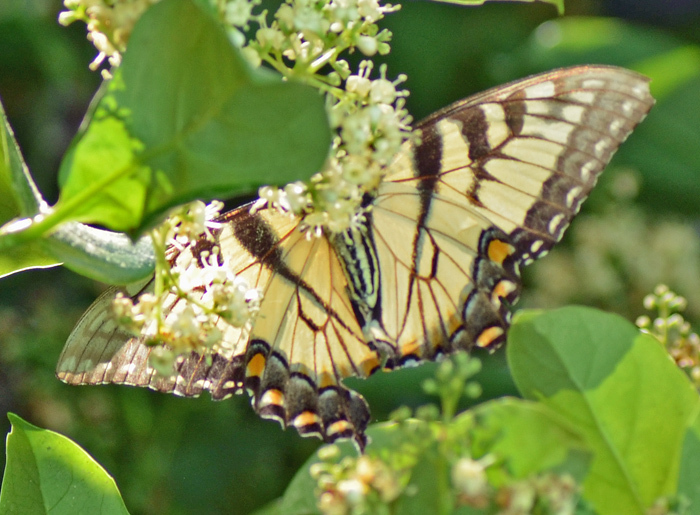 Papilio glaucus (Eastern Tiger Swallowtail) ♀. 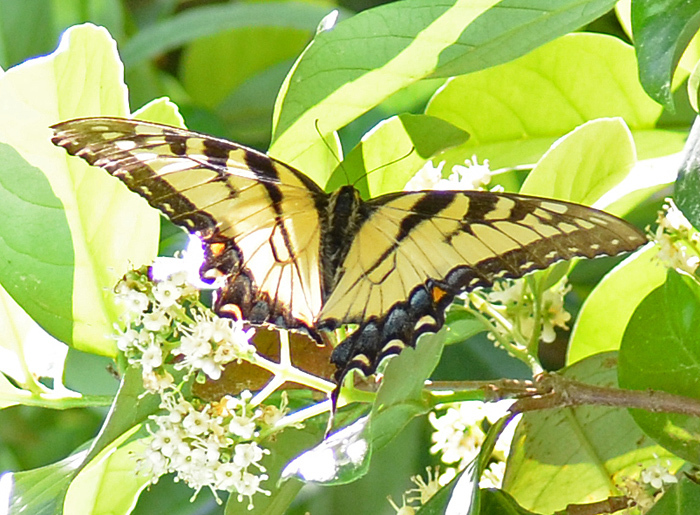 This large and very common butterfly is an Eastern Tiger Swallowtail. They have wingspans of 8-16 cm. Females are larger and darker than males. The conspicuous band of blue spots along the hindwing is indicative of females. P. glaucus is one of a few butterfly species that produce gynandromorphs (both male and female characteristics). Usually adults fly high above the ground, which has made it difficult for me take these photos.